If there's one beauty fix we can't get enough of, it's a bold brow. There's no better (or easier) way to shake up your makeup routine, so we thought we'd share with you some of our favorite eye-defining looks above. 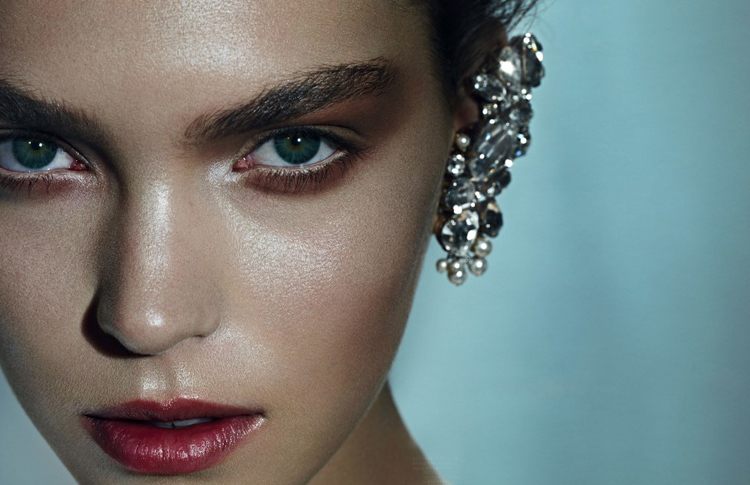 Whether pairing a bold brow with dewy eyeshadow, a bright lip, a defined cat-eye, or a flashy ear cuff, there are so many ways to play around with this trend. Not naturally blessed with brows like these? Don't worry! Faking it is super easy, even with products straight from a drugstore. We happen to be addicted to Revlon's Brow Fantasy dual-ended pencil. Use the pencil side to draw in brows, and the tinted gel to set it. Super easy! 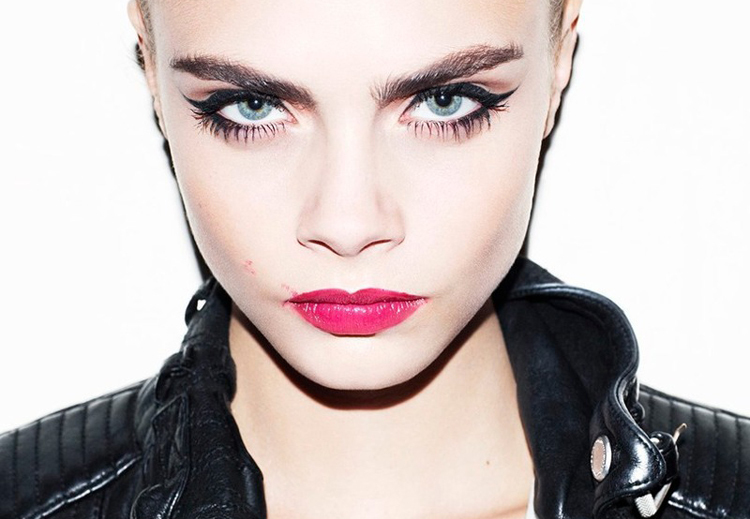 Check out our favorite brow tutorials here and here and you'll be rocking the look in no time. Looking for more 'brow-spiration' straight from the source? Follow Cara Delevingne (@caradelevingne) and Bambi Northwood Blyth (@stefbambi_) on Instagram. We promise they don't disappoint. i really wish these models were around when I was younger. I always had dark, thick eyebrows...and I was not a fan of them when i was younger. Thankfully I was to scared to pluck them myself or never went super skinny. Now that I'm older I def. embrace my dark brows. ZOMG I have not touched my brows in over a year for this very reason. Great post-- I have been embracing my natural brows for the past years and am glad to see it done up so well. It's all you need for your brows in one little compact! I Have to get my hands on the revlon brow fantasy product. I have always loved thick brows however mine looks like its permanently tweezed haha. Beautiful images. I love Cara. I've always prefered thicker eyebrows, they are just so much easier to maintain! hehehe. Loveeee this post, its hard to make my eyebrows really neat lol, xoxo. I would love to try to have thick brows. I've been working on "growing mine out" and in some spots they're taking forever to fill in! (brows are my nemesis right now). I'm being patient, because I love this look! xox.